Have you ever watched a monkey open a banana? Turns out, they don’t open from the stem like we do. Instead, they take the path of least resistance and open it from the bottom tip. By doing this, they’re able to access the fruit more easily and without damaging it or fighting with the strong stem. 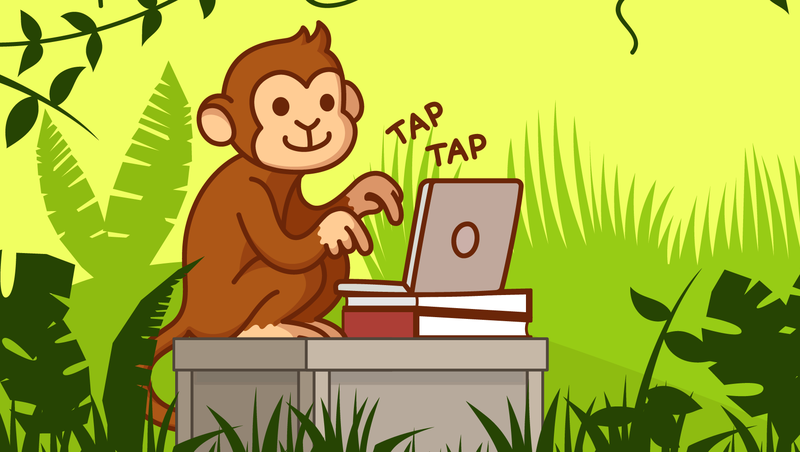 Okay, so enough with the monkey business…What does this have to do with selling more cars? Well, if you analyze any geographic area, you’ll find that roughly 2% of the population is shopping for a Nicer, Newer® vehicle. And most dealerships are only advertising to customers in that 2% of the population. Which might make sense on the surface, right? But when you take a closer look, you see that they’re actually fighting with every other dealership in the market over a tiny piece of the pie, making it more difficult for themselves. Essentially, they’re trying to open the banana from the stem. But what if we told you there’s an easier way? If you advertise to the 98% of the market most dealerships are ignoring, you tap into a whole new pool of customers—basically, opening the banana from the bottom and taking the path of least resistance. Here’s how attracting the 98% will get you more traffic. Think of why most people are currently shopping for a Nicer, Newer® car. More than likely, they recently experienced a major life event that makes car shopping a necessity. Divorce, auto accident, career change, pregnancy and teenagers getting their driver’s licenses are all reasons you might find someone actively shopping for a vehicle. People who’ve already had these life events make up the 2%—the Active Shoppers. And these are the people every other dealer is fighting over. But here’s what we’ve found. While the other 98% might not be actively shopping right now, they can be pushed into the market. That’s because while this 98% might not be currently shopping, they are dreaming of driving a Nicer, Newer® car. See, that’s the Miracle Of The Car Business. Everyone wants to drive a Nicer, Newer® car. Think about it. If someone had the choice between driving their old ride or driving a vehicle that’s a little newer and fits their situation a little better, most people will choose to drive the Nicer, Newer® vehicle. In fact, the only reason people in the 98% aren’t actively shopping is because they feel stuck in their old ride. Because of a real or perceived problem that most dealers solve all the time. But by providing these people with real solutions that will allow them to drive a car they love today, you’ll not only push these people into the market, but they’ll only be interested in doing business with you. You see, while most dealers are fighting to open the banana from the stem, settling for only a portion of the 2% of Active Shoppers in the market, when you focus on attracting the 98%, you’re taking the path of least resistance to get to the fruit, just like monkeys do when opening bananas. Thus ensuring you’ll always have more leads, more traffic and more sales than the competition. Want to learn more about how dealers across the country are using this simple advertising strategy to exceed their goals and grow their business? Then click here to request a free demo and speak to an Advisor who will show you how we can help you hit your next growth goal. NextHow To Turn Your Salespeople Into Coaches Your Customers Like, Trust And Want To Buy A Car From TODAY!